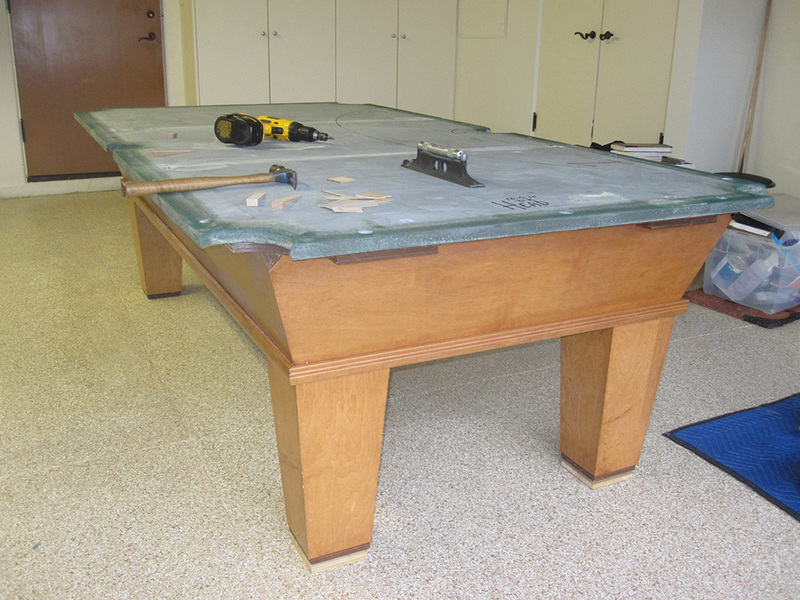 Here’s a billiard table we did a couple of days ago in Newport Beach, CA. 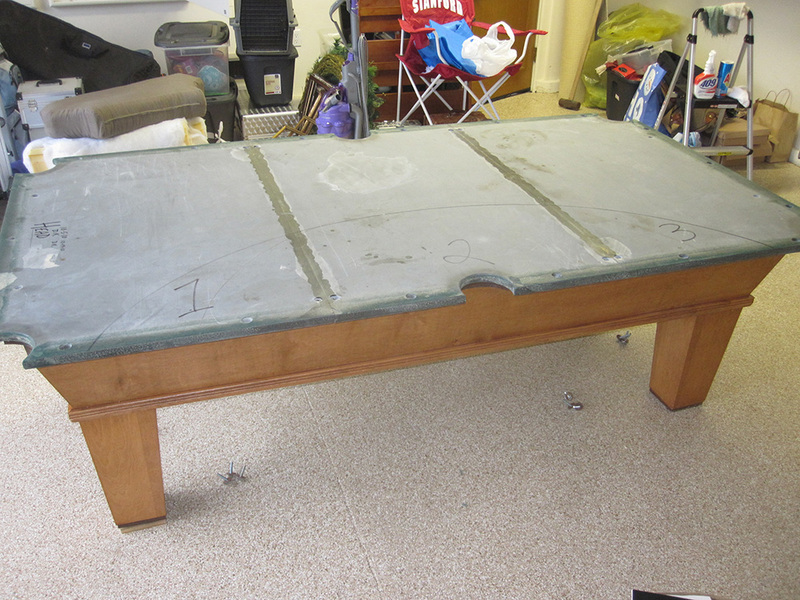 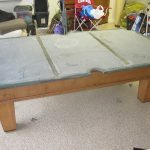 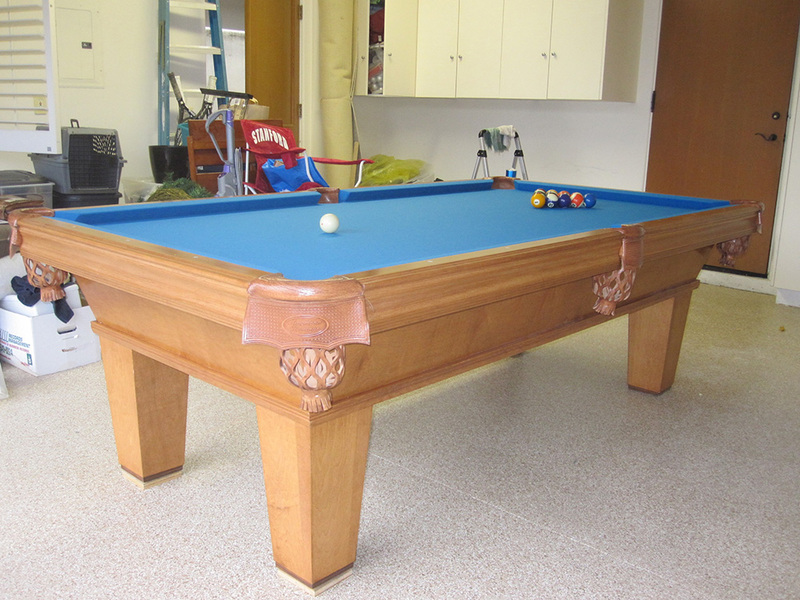 Our client was having her garage floor refinished and hired us to break down and move her eight foot billiard table, so Hemphill’s could come in and re-epoxy the floor. 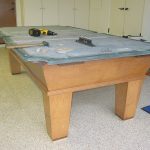 About a week and half later after the floor was complete, we came back to setup and refelt the billiard table on top of a brand new shiny epoxy floor. 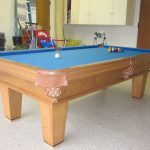 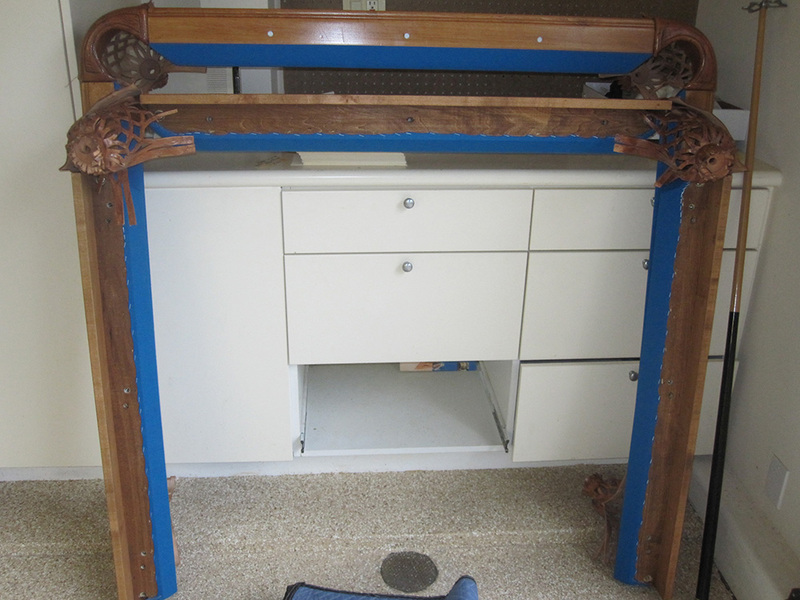 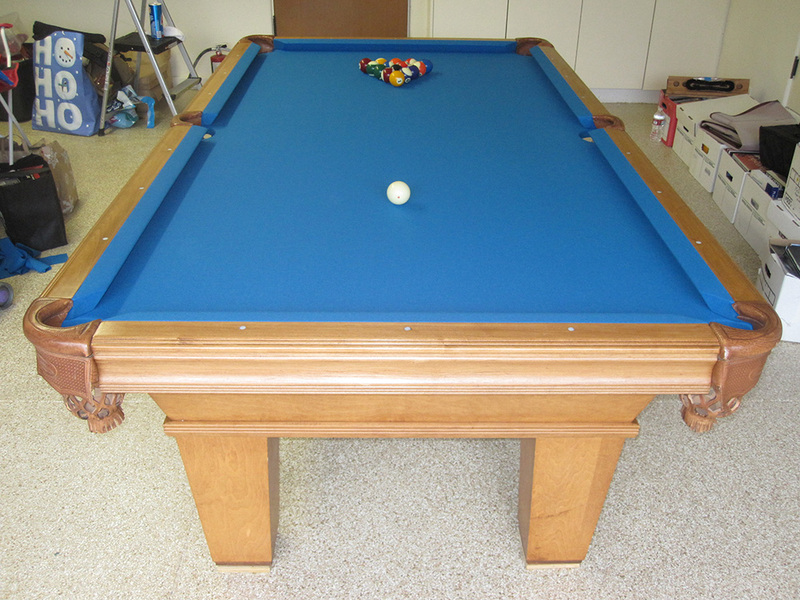 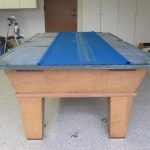 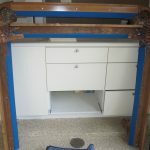 Our client had decided on refelting her billiard table with Electric Blue. 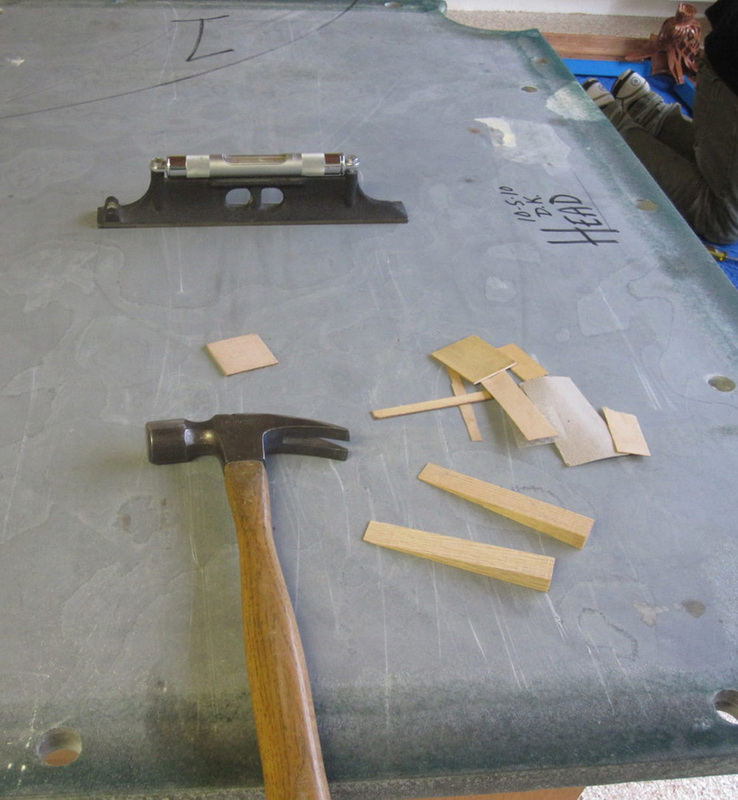 We had previously picked up the rails on the first leg of the new flooring move. 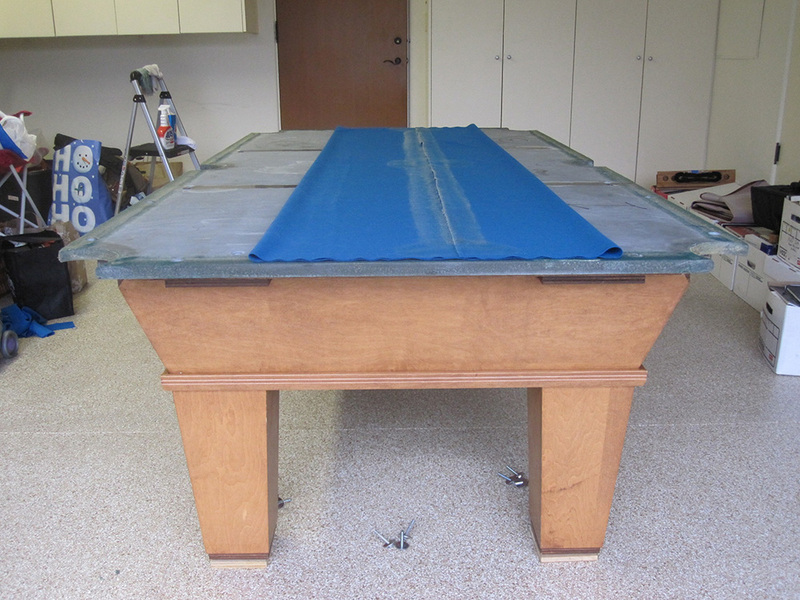 When we returned on Tuesday I took these pics of the setup process.